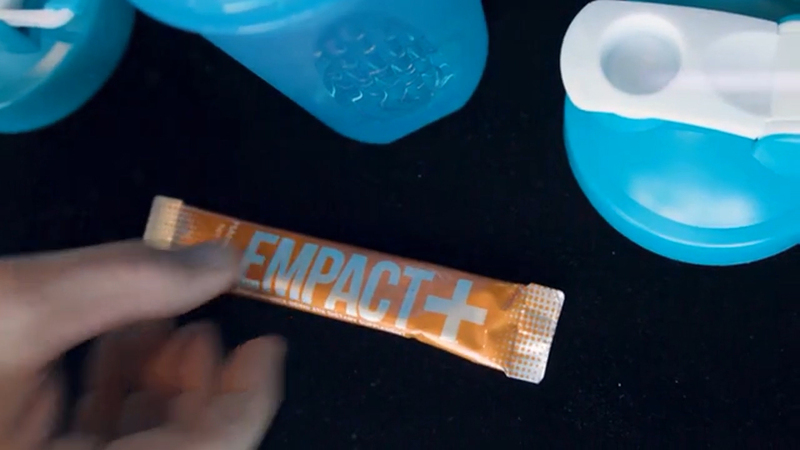 Sydney Benner, International Fitness Instructor and creator of the Flight workout, leads a workout in Los Angeles, California to celebrate the launch of EMPACT+ performance drink mix. EMPACT+ earned BSCG Drug Free Certification. 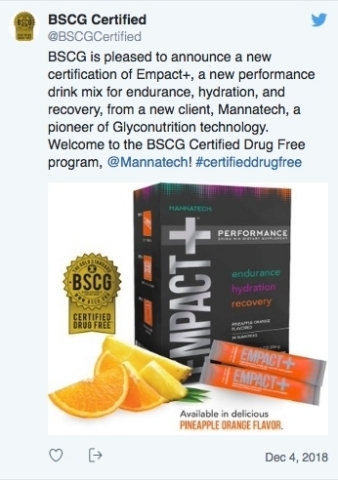 FLOWER MOUND, Texas--(BUSINESS WIRE)--Mannatech, Incorporated (NASDAQ: MTEX), a global health and wellness company, received the BSCG Certified Drug Free® supplement certification for its new EMPACT+™ performance drink mix (Lot Number 3583803). This certifies that the product does not contain any of the 274 drugs banned in sport nor an additional 211 prescription, over-the counter, and illicit drugs not banned in sport. The BSCG Certified Drug Free® Testing Menu targets drugs on the World Anti-Doping Agency (WADA) Prohibited List. The WADA Prohibited List governs Olympic sport and is used by all national anti-doping organizations (NADOs) including ASADA, UKAD, and USADA. It serves as a model for sport federations, professional leagues, college, military, and vocational drug testing programs, which ban many of the compounds on the WADA Prohibited List. This drug free certification provides maximum security to general consumers, as well as to athletes and professionals across the spectrum of WADA, NFL, MLB, NHL, NBA, WNBA, PGA, LPGA, MLS, ATP, WTA, FIFA, FINA, AFL, NRL, NASCAR, UFC, CrossFit, NCAA, military, law enforcement, and other drug-testing programs. Mannatech, Incorporated, offers a profound wellness experience that makes a difference in the lives of people across the world. Through its innovative Glyconutrition products, Mannatech changes lives, providing an unprecedented level of natural wellness, freedom and purpose. With more than 20 years of experience and operations in 25 markets^, Mannatech is committed to changing lives. For more information, visit Mannatech.com. †When using 1 stick in 8-10 oz of water, 2-3x per day. When consumed both prior to and following workouts. ¹ Boettger is a member of Team Mannatech and receives free Mannatech products. 2 Benner received free product from Mannatech for evaluation. Mannatech's EMPACT+ performance drink mix earned BSCG Certified Drug Free status, certifying the drink mix is free of any banned substances.